Birmingham boss Harry Redknapp has confirmed that the club are interesting in signing former Premier League stars Ashley Cole, Robbie Keane and Stewart Downing, according to Sky Sports. 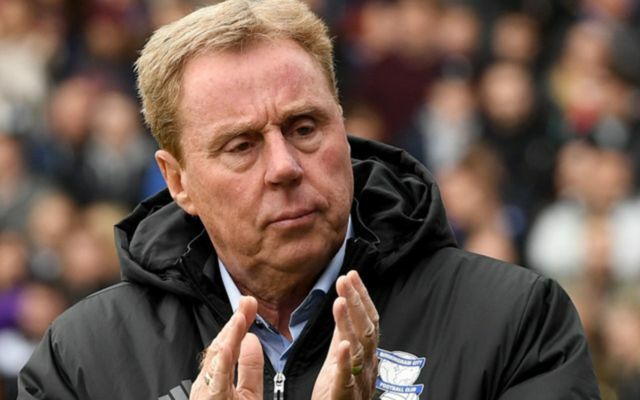 Redknapp, who took over the club at the end of last season, helping the club the avoid relegation, is looking to turn the Blues into top-six contenders this season, and wants the veteran trio to help him do so, as per Sky Sports. Despite all of Keane, Cole and Downing being over 30, former Spurs boss Redknapp has insisted that they still have something to offer for the Championsip side, reports Sky Sports. 37-year-old Keane and 36-year-old Cole both ply their trade in the MLS with LA Galaxy, whereas 32-year-old Downing is available for free after the midfielder’s contract with Middlesbrough expired. With Redknapp set to take Brum fans for a trip down memory lane with these move for Keane, Cole and Downing, it’ll be worthwhile seeing whether the three still have it in them to perform against some of the country’s biggest clubs.